You won’t easily spot a local on the beach reading a book, but that doesn’t mean there aren’t any good bookstores in Rio de Janeiro. Travellers looking for a good read in English, while enjoying the sun, have plenty of options. Here are some bookstores we love. 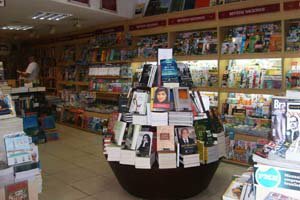 In the bustling street of Rua Dias Ferreira in Leblon, Argumento bookstore can be a pleasant refuge from hectic Rio. Stylish wooden benches outside the store emphasize the rustic vibe of the bookshop. Here you’ll find a great collection of English literature. 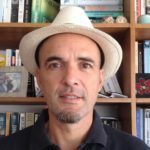 Founded in 1993 the store is a favorite hangout of local writer Manoel Carlos, who wrote a telenovela (soap opera) that was shot in the shop itself. In the back of Argumento, readers can enjoy their new books, while drinking a Macchiato in the store’s Café Servino. 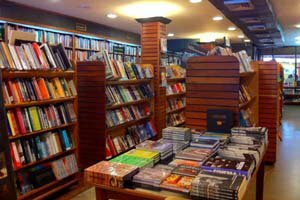 The great advantage of Livraria da Travessa is the presence of this chain of high quality bookstores in Rio de Janeiro in several neighborhoods. In Ipanema, the store is located on its main street, Rua Visconde de Pirajá. It’s an excellent hangout for literature lovers, where classics as Animal Farm by George Orwell can be found, as well as Fatherhood by hyped contemporary writer Karl Ole Knausgard. The range of genres is wide and the shops are always well stocked. Every franchise has an attractive café, where besides coffee, you can also order wine and good food. Tucked away in busy Rua Bolivar in Copacabana, bookstore Livraria Bolivar is all about books. No drinks, no food or CD’s. However, the cramped shop has a counter for tobacco products as well. Visitors need to move with care between all the tables, shelves and racks, stacked with books. Their English collections is limited, compared with the bigger competing stores, but the local and personal feel of the shop make up for that. 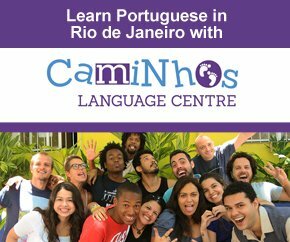 If you’re interested in Rio, they have a great selection of titles about the city. Founded in 1914 Livraria Saraiva is, with more than 100 shops, the biggest bookstores in Rio de Janeiro — Brazil, actually. 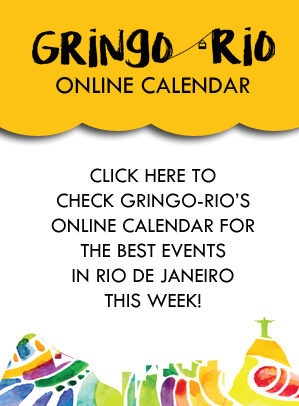 In Rio you’ll find branches in a number of neighborhoods. The one in Botafogo’s shopping mall, Rio Sul, is particularly fun to visit. It’s big, spread out, with a great gadget department and Apple section. English novels and nonfiction books are part of their stock, but not their speciality. Looking for a bestselling page turner, you do have a chance to discover it at Saraiva. Exploring bookish Rio you might end up in the downtown area, away from the beaches and the flipflops. 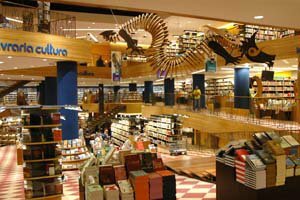 Three floors, and a escalator, with winding rows of books, is what defines Livraria Cultura. Authors like John Grisham, Salman Rushdie, John Green to Roddy Doyle have theirs books sold here. Very easy to lose yourself in this place for hours, leafing through the beautifully displayed books.